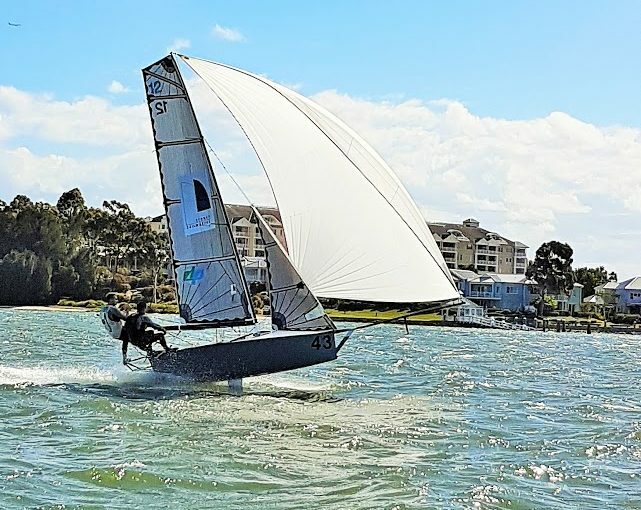 The Sydney Sailmakers crew of Nick Press and Andrew “Noddy” Hay won the 12ft Skiff Parramatta River Championship in fresh 25knots+ Southerly conditions. 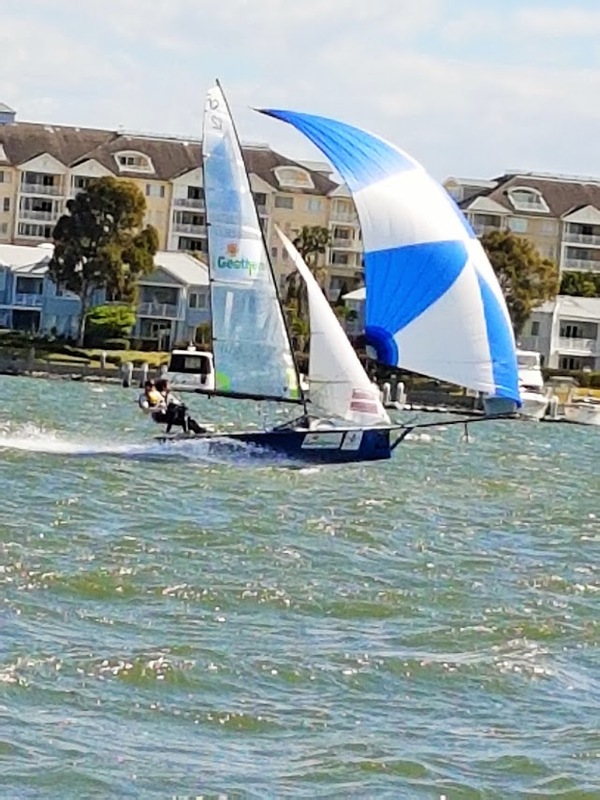 Abbotsford Sailing Club hosted event late yesterday afternoon. 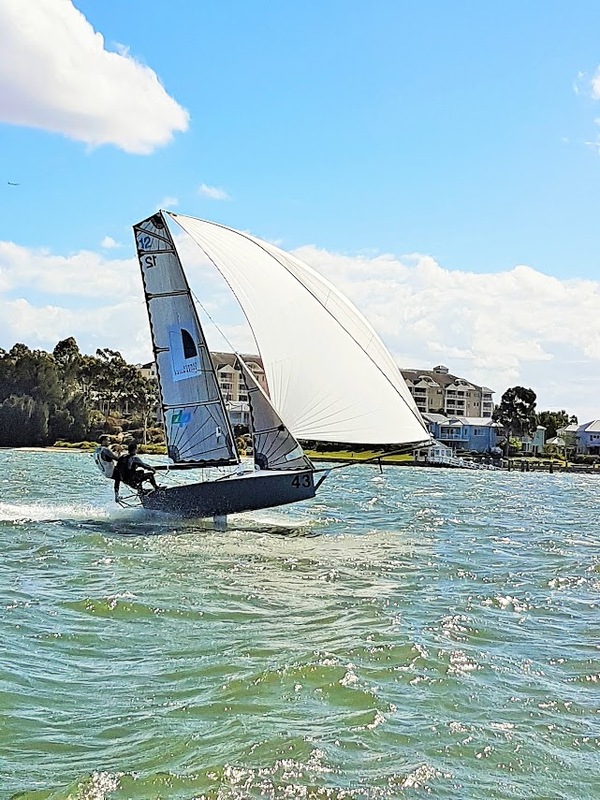 Terms and Conditions (Brad Phillips/ Tim Barraclough) won the start with an aggressive Port hand manoeuvre but it was Geotherm (Brett Hobson and Billy Lusty) who showed blistering speed up the first work to lead at the windward mark. Sydney Sailmakers and Lincoln Crowne (Jono Temple/Richard Jones) both proved very slipper on the downward leg to get the better of Geotherm who rounded in 3rd. 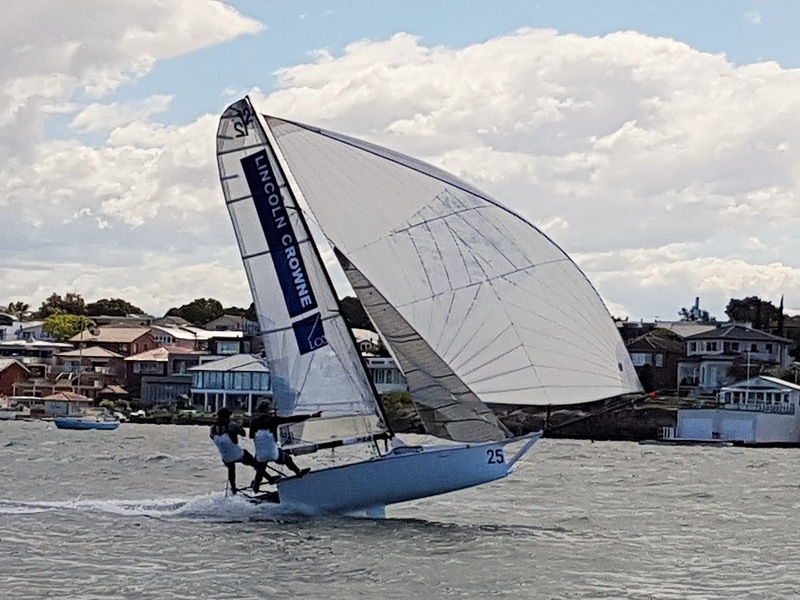 Geotherm moved back into 2nd up the next work but came to grief on the tricky run past the Marina allowing Sydney Sailmakers to build a good lead. Lincoln Crowne also took a break on the fin allowing Geotherm back in 2nd. 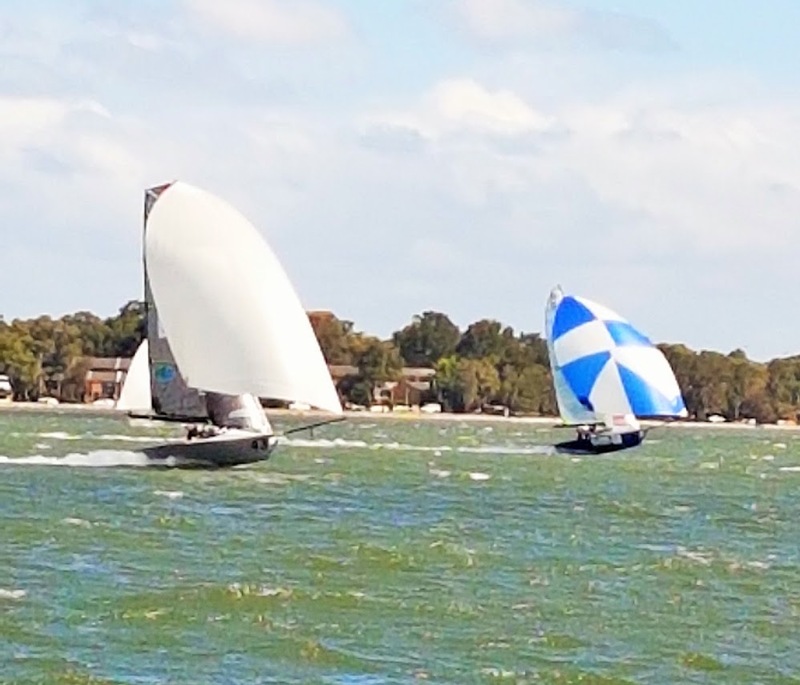 The positions remained unchanged to the finish with Bigfoot Customs trapeze Harness fighting back to 4th after an early swim. Abbotsford 12ft Squadron hosted the event with the conditions making got some great rides for the crews and excellent viewing for the Spector’s. 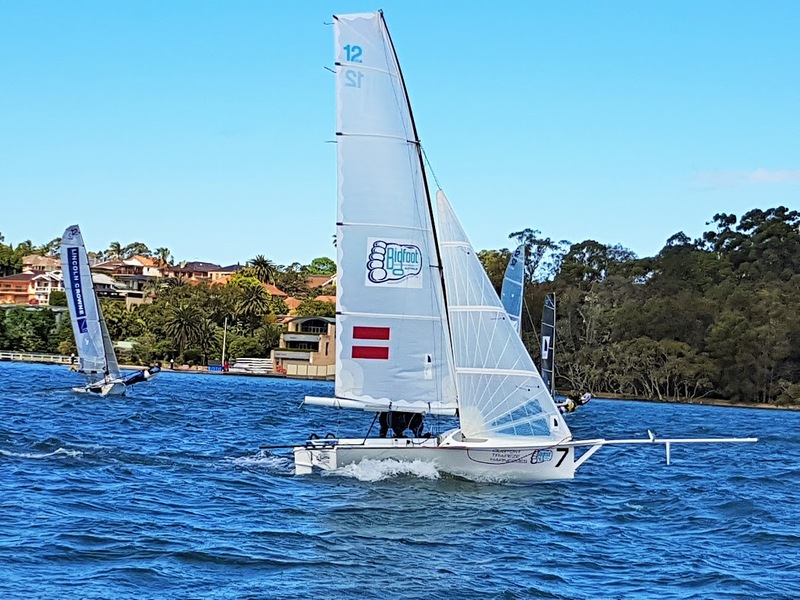 The 12ft Skiffs step up a gear next month with the NSW 12ft Skiff Championships kicking of 26th November at the Sydney Flying Squadron at Kirribilli. This entry was posted in News, Race Reports and tagged Abbotsford on October 24, 2016 by skiffed_2.